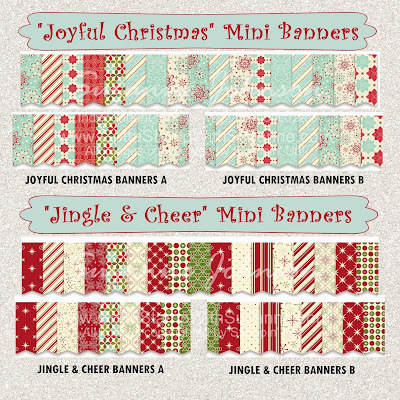 GOTTA STAMP WITH SUZANNE JOHNSON: DESIGNER PAPER PATTERN MINI-BANNERS ON BOUTIQUE PAGE! DESIGNER PAPER PATTERN MINI-BANNERS ON BOUTIQUE PAGE! A while ago I saw a cute card embellished with a row of little flags/banners across it. The little banners were cut from a variety of patterned designer papers. 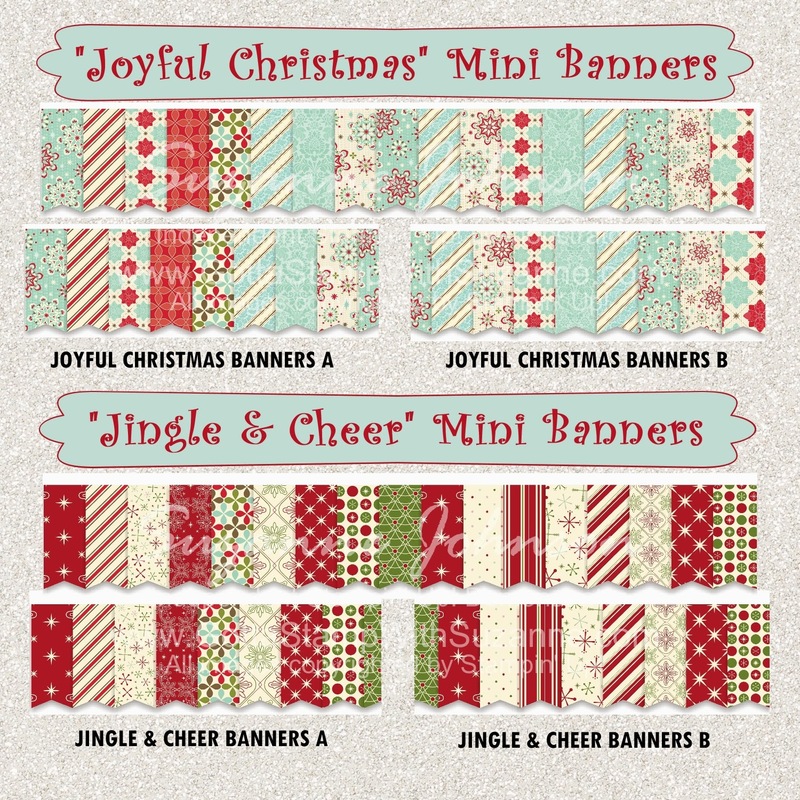 It inspired me to use MDS to create my own custom mini banners, and I had so much fun because MDS offered me so many more pattern choices, and allowed me to vary the zoom on each to accommodate each little 1 1/4 x 1/2 inch banner in my rows. My first batch is printed and ready for you to buy for embellishing your own cards and projects! A 4 1/4" long row (half a full strip) is only a quarter (plus mailing)! You can also buy them in full strips or a page with six strips on it. Trim them as you desire, adhere them to cardstock if you need more body, sponge the edges, stamp or emboss on them, once you have them you can get creative!